Wireframing is an essential phase in most projects because it’s a way of translating the previously defined functional requirements into user interfaces. Their low-fidelity aspect is meant to make iterations fast and easy. As a result, wireframes are often used as a way to communicate the User Interface to stakeholders before time is spent creating mockups. 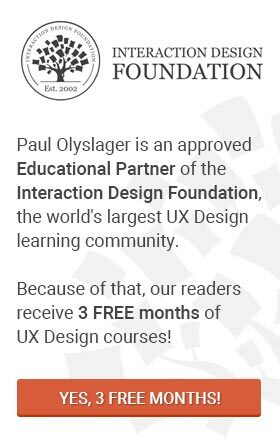 I mentor more than fifteen students on UX Design and the subject of tools draws quite a lot of interest. One of the questions I get asked the most is what wireframing tools they should use. The first thing I reply is there isn’t such a thing as a perfect tool. There is not a gold standard. Thankfully, we are living in a time when there are myriad tools to choose from. Maybe even more importantly, we have the freedom to choose whichever we are the most comfortable with, and still deliver great results. My second response is that if you are judging a set of wireframing tools using a defined criteria, it will surely be possible to classify certain tools as being better than others. Your goal is to create a wireframe, but how easy is it to get to that goal? While this question might seem abstract, it includes several subfactors. Overall performance, access to diverse pattern libraries, learning curve, availability of shortcuts and layer management are just some examples. Lying at the core of the wireframing process is presenting the wireframes to stakeholder and team members, as well as iterating through multiple revisions. So how easy is it to share and receive feedback? This question also includes multiple subfactors, for example: prototyping, sharing, exporting assets, commenting, version tracking and project management. Its set of features includes a decent number of stencils to use (“stencils” are pretty much UI elements that you can use and customize), templates, an icon library, the ability to import your own assets and more. 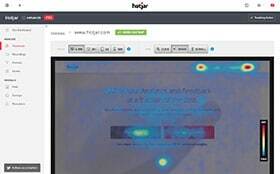 In regards to collaboration and demo functionalities, you can link screens together, go back and forth with comments, export to PNG/PDF and export a link for online viewing. The export feature is actually really well made and probably beats a lot of the other wireframing tools listed here. All in all, it’s a really solid tool and very easy to use. Even if you are completely new to it, you could probably master it in a weekend. In regards to pricing, there is a monthly subscription that costs 19USD/month and allows for 50 Projects and 5GB storage. Pretty much what the average user needs. If you choose annual billing, the Unlimited Users plan has no upper limit for projects, comes with 20gb of storage and currently costs only 29USD/month. Definitely give it a shot – at least the free trial version because you might end up falling in love. Moqups, an online wireframing tool. In 2015, Subtraction.com conducted a survey on product design tools. Their aim was to learn more about what designers were currently using in their day to day work. The total number of participants was 4000 from 200+ countries. One of the categories was wireframing and the results are, to say the least, quite interesting. They found that 27% of the designers questioned used Sketch App. The rest uses a range of 7 different wireframing tools or no tool at all. This means that the biggest portion of designers were using a tool that is not made specifically for wireframes. It definitely shows that designers tend to favor broader design tools in favor of specific ones. It strengthens the notion that the best tool is the one that better suits your own needs. This is why Sketch had to be a part of this list. It’s definitely not a tool specifically focused on wireframing, but it is one that allows you to design for digital. Icons? Sure. Mockups? Yeah. Logos? Also, yes. It’s very versatile and because of that, a lot of designers are very used to it so using it for wireframes is just a natural step – but it has its limitations. It lacks prototyping capabilities. It has no pattern libraries – although you can play around with symbols and UI kits. There is no sharing or commenting features. Last, but not least, it doesn’t include a lot of the features other wireframing tools that are primarily focused on wireframes have. As you would expect, exporting is pretty good but then you have to take those screens to a place like InVision (or another prototyping tool) to link screens together and collaborate. If you are very comfortable using Sketch (along with an external prototyping tool), it’s definitely worth your time trying to incorporate it into your wireframing process. Sketch App is a well known tool in the UX community. In most cities you’ll find a number of restaurants that have been around for quite a long time. You hear about them in every “10 Places to Check Out in this City” list. Half the people that visit them seem to love the place, and half seem to truly hate it. In the end, the best thing to do is to give it a shot and see if you like it. Axure RP is the wireframing tool equivalent of those restaurants. It has been around for quite some time – its original team started work on it around 2002 – and is quite a robust wireframing, diagramming and prototyping tool. Some people absolutely love it and for many UX teams, it’s the standard. Some people though, absolutely hate it. For starters, you actually have to download it. Unlike other solutions such as Moqups or UXPin that run in the browser, it must be installed before you can start using it. Also, out of the box, it is quite hard to make a wireframe look even half decent. Axure lacks a broad UI pattern library that you can work with. You need to put a lot of effort into customizing the basic elements to make them look and feel how you want. The learning curve is quite steep. It’s easy to feel intimidated the first time you open up Axure RP. There’s a lot going on and you do have to spend some time getting familiar with the interface before you can properly start. Axure RP is not just a wireframing software. Its key functionalities include prototyping, diagramming, documenting and more. It does a lot of things, but doesn’t really excel in any. That’s why depending on your needs, it might be a better idea to go with a specific tool for one of those purposes. In regards to pricing, you can opt for a subscription model from 29 to 99USD/month or buy one of their licenses that range from 500USD to 900USD. Unfortunately, you can’t buy a license for the enterprise version but before you decide, you might like test the downloadable 30 day free trial. Balsamiq Mockups – surprisingly used for creating Wireframes, not Mockups – is a relatively simple and straightforward tool. However, it doesn’t offer a wide range of features as the others in this list do. For example, it doesn’t have live presentation or comments and the library of UI elements is very limited, as is the prototyping functionality (in that you can only link wireframes together) and exporting functionalities. Giacomo ‘Peldi’ Guilizzoni, founder of Balsamiq Mockups has built it with the goal of being simple and limited. It’s a good tool for quick wireframing and putting a few screens together, but it’s not the best tool to go any further than that. It doesn’t fit my particular workflow but you should definitely try their free trial and see what you think. In regards to the price, it’s also quite a cheap solution – 89USD will buy a license, and that’s it. All the other subscription-based wireframing tools add up to much more than that, and no other available single license price is this low. Disclaimer: I have previously had e-books and articles published on UXPin’s blog, Studio UXPin. UXPin is another online wireframing tool that runs in your browser and doesn’t require any installations; you just open it up and start using it. The performance used to be rather questionable but after releasing a new version, those issues are no longer there. Now, it’s as smooth as it gets and definitely on par with competitors. The feature set is quite broad and definitely covers all must-haves. These include prototyping (with advanced interactions even available), collaborating (commenting, version tracking, live sharing and presenting), a very broad pattern library, editing tools (Grids, Layers, Asset Importing etc), tools focussed on project management and more. However, the export feature is a weak spot. When exporting to PNG/PDF, it lacks certain functionalities. For example, the inclusion of “cropping to content borders” would definitely improve the experience but all in all, it’s a really solid tool. It’s currently the one I use for wireframing. Definitely try it out. There is a free trial available and then a monthly subscription which goes from 19USD/month for the basic plan to 49USD/month for the “Pro+” plan which gives you access to a handful of exclusive features. There is also an enterprise version, but for that you will have to talk to a consultant to learn more about the pricing. Although it didn’t make it to the list, I should at least mention here HTML/CSS. It’s popular among designers who also code and it can be used to create wireframes and prototypes. If you are comfortable enough with them, definitely give it a shot and use it during your next wireframing phase. Even though it’s not my cup of tea, a good portion of designers code their wireframes this way. To wrap up, I re-emphasize that this list was created as a way for me to think about the wireframing tools available out there and the criteria I personally used. The only way you’ll get to the best wireframing tool is by trying out all of them, reflect and decide which suits your needs. Fabio Muniz is a Product Designer. He's done work for YC-backed startups like Gigster and Shogun, as well as enterprise clients such as Google, Viacom and NBCUniversal. Currently he's a co-founder at Awari, an e-learning startup with mentor-led online courses. View other posts by Fabio Muniz.